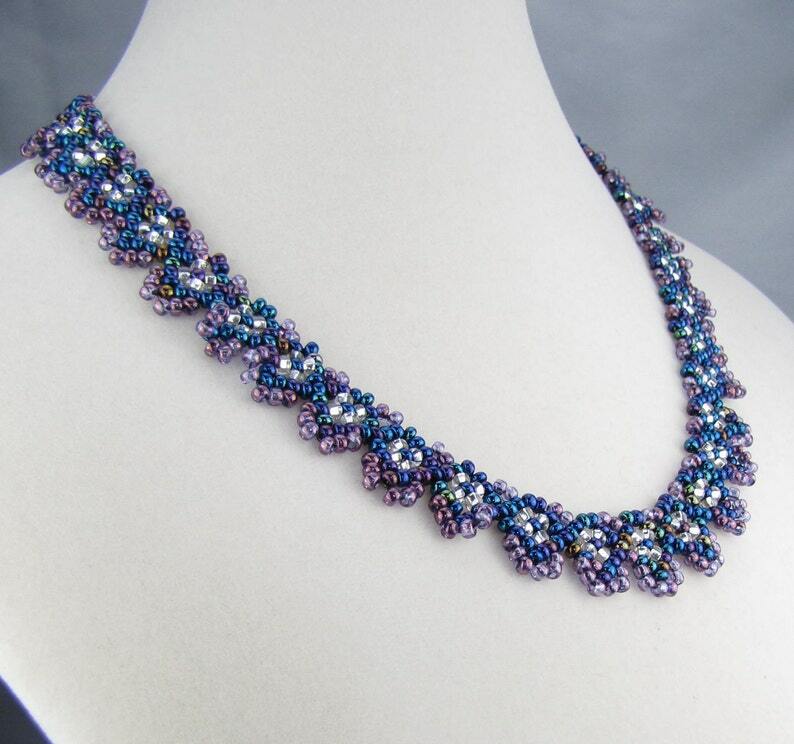 Navy and pink metallic iris seed beads combine to make this feminine necklace. Highlighted by silver-lined crystal seed beads in the center of the motifs, this shiny sparking necklace is charming and appropriate for day or night. The necklace is adjustible from 19 to 21 inches long.